A new plugin, “my eyes are up here,” lets you control how your images are cropped for thumbnails. 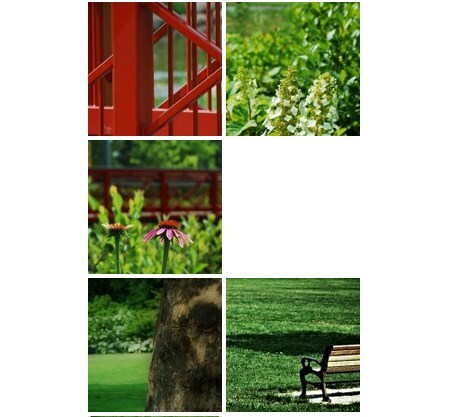 The built-in system isn’t very smart; it essentially takes the central part of your image, squares it off, and crops off the top/bottom or left/right. But if your main content is off-center, you get something that doesn’t make much sense. 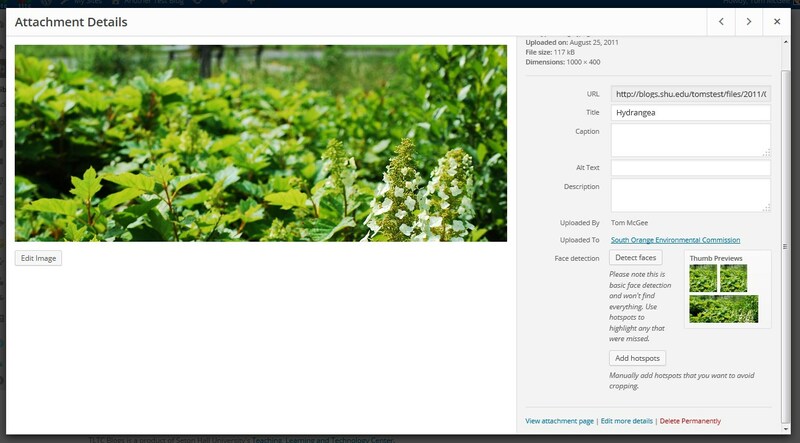 It offers two simple functions that you access when you upload or edit an image in your media gallery. 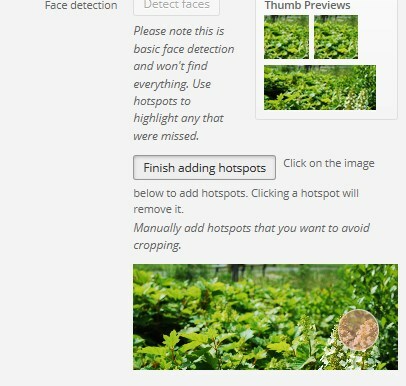 It can automatically detect faces (though very unreliably), and even better it lets you define your own “hot spots,” points around which the cropping will be based. It will fit as many of the hot spots as possible into the cropped version, or if you pick only one, it will center the cropped version around that. It’s not going to detect any faces — or at least it shouldn’t — so we’ll skip right to the “Add hotspots” button near the bottom left. Wherever you click a colored circle will appear. Then click “Finish adding hotspots” and the plugin re-creates the thumbnail for you. The thumb previews are updated so you can see your work, or revise it as necessary. When you’re done, just click the “X” at the top-right corner to return to the media library. I’ll repeat the process for the other two images…. If you compare the before-and-after, there’s a much better sense of what you’re going to see when you click through. Use this plugin for all kinds of photo or illustration posts where the person or thing you want isn’t exactly in the center. Even for a photo where the subject appears to be in the center, depending on how much of the torso is shown it might be cropped badly. Came across this blog while searching for cropping and images. Would it be much faster to crop images using simple programs such as paint or paint.net or even photoshop ? Especially true for the guy playing the violin. If you’re adept at the photo editing programs, you’ll definitely get better results if you crop images yourself. But for users who aren’t, or don’t have the software, this is better than what is generated automatically.